For the past twenty years, Deborah S. Chang has represented both plaintiffs and defendants throughout the country in products liability, commercial litigation, professional liability, securities fraud, and complex torts cases. She has served as local, regional, and national counsel for a variety of companies and manufacturers. She has also argued numerous times in the Connecticut Supreme and Appellate Courts, and was appointed by the Chief Justice of the Connecticut Supreme Court to serve on the Connecticut Appellate Advisory Rules Committee. During her practice, Ms. Chang has been recognized for her involvement in landmark cases. She was selected by the American Bar Association’s Young Lawyer’s Division as one of the “20 Young Lawyers Whose Work Makes a Difference” for bringing the first civil rights class action on behalf of prisoners with AIDS in a maximum security prison. The class action resulted in a landmark settlement that was cited with approval by the 1991 Report to the President and Senate by the National Commission on AIDS, and resulted in the formulation of model policies and procedures relating to the housing, programming and medical treatment of prisoners with AIDS currently used in prisons throughout the country. Ms. Chang thereafter drafted and lobbied for enacted legislation in Connecticut relating to the release of terminally ill prisoners on medical parole, and she proposed and instituted the first national scholarship fund with the Stewart B. McKinney Foundation for individuals pursuing a medical or nursing degree to work with patients with AIDS. For this work, she was the recipient of numerous national awards. In 1996, Ms. Chang brought the first lawsuit in the country based on the newly enacted Violence Against Women Act of 1994, 42 U.S.C. § 13981 (VAWA). As part of that lawsuit, Ms. Chang successfully argued for the upholding of the constitutionality of the statute in the first federal court to consider the issue. After reaching a settlement in the case, she lectured extensively on the issue of gender-motivated violence. She was a guest commentator on several national television shows regarding the statute, both before and after the United States Supreme Court eventually ruled that the civil remedy portion of the statute was unconstitutional. Ms. Chang has been involved in numerous cases of first impression, including her novel application and use of the “borrowed servant doctrine” in a medical malpractice case that ultimately changed Connecticut law regarding the liability of hospitals and residents working under the direction and supervision of attending physicians. She was also part of the trial team that achieved a defense verdict on behalf of Ford Motor Company in the first Bronco II case tried in the country. She has successfully represented investors in securities fraud litigation and obtained numerous preliminary injunctions in federal court on behalf of companies alleging unfair trade practices of competitors under the Lanham Act. Throughout her practice, Ms. Chang has also represented plaintiffs in a variety of personal injury claims. As part of her trial practice, Ms. Chang has been extensively involved in jury research and focus groups. In 2000, she helped conceptualize and launch Legalvote.com, one of the first companies to provide online focus groups from a unique database of nearly 3.5 million Internet users. The service is currently used by trial attorneys and major insurance companies in prominent cases pending throughout the country, and has been recognized by the National Law Journal as a helpful tool for assessing the strength and value of cases. For over a year, Ms. Chang served as its CEO and General Counsel, and was a member of its Advisory Panel and Board of Directors. Ms. Chang completed the Mediation Workshop with the Program on Negotiation at Harvard Law School in June of 2007, and has successfully mediated numerous cases. She has served as the Co-Chairperson of the American Bar Association Tort and Insurance Practice Section, Motor Vehicle Products Liability Litigation Group, and has been a speaker at numerous state bar associations such as The Inner Circle of Advocates, ATLA, and The Washington State Trial Lawyers Association. She is currently admitted to practice in California, Florida, and Connecticut. Over the years, she has been selected for inclusion at various times in Who’s Who in American Law, Who’s Who of American Women, Who’s Who in the West, and Who’s Who in Finance and Industry. 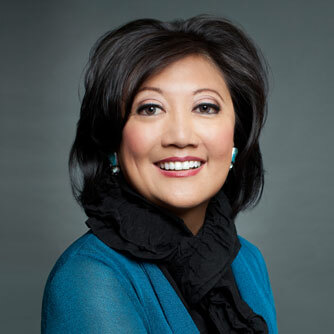 Ms. Chang is a graduate of Kansas University, and she received her J.D., with honors, from Drake Law School in May of 1986, where she served as the Case Note Editor of the Drake Law Review. Following law school, she served as the judicial law clerk for Chief Judge Antoinette Dupont of the Connecticut Appellate Court. Ms. Chang was previously associated with Day, Berry & Howard (now Day Pitney) in Hartford, Connecticut and Snell & Wilmer in Phoenix, Arizona, prior to becoming an equity partner of the Stamford, Connecticut office of Cummings & Lockwood in 1996. At Cummings & Lockwood, she served as the head of the torts and products liability practice group in the trial department, and amassed an undefeated trial and appellate record. She thereafter served as counsel to the Orlando law firm of Cabaniss, Smith, Toole & Wiggins, PL. From 1987 to 1991, while practicing law in Hartford, she was also an instructor and part of the adjunct faculty at the University of Connecticut Law School, where she taught appellate advocacy, served as a supervising attorney for independent study projects, and was the faculty advisor for the Moot Court Executive Board and teams.